The Frisco Mirror is a contemporary piece featuring a rectangular frame that is denoted by its slight curve on each side giving the piece a graceful bowed effect. The frame is then finished in a custom glossy royal blue lacquer. The Frisco Mirror is a perfect focal point for any design. Hang either a horizontal or vertical fashion. The mirrored glass on this piece is also beveled adding to its beauty and style. 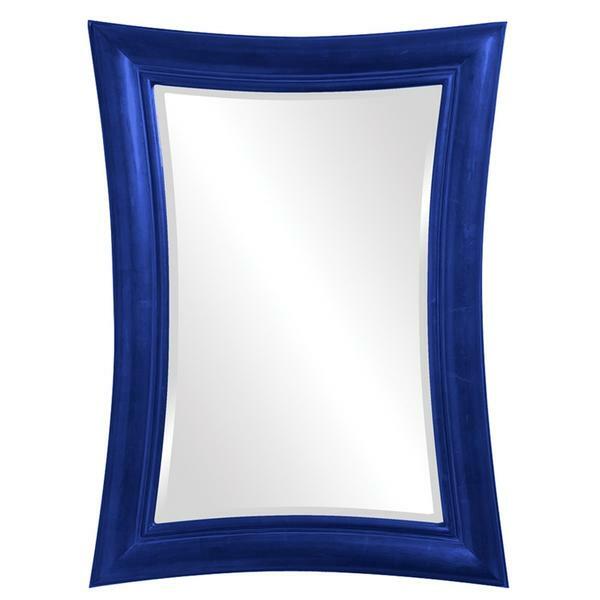 The Frisco Mirror is part of our custom paint program and is available in one of ten vivid colors. Customizable for larger orders.